OK, y’all. It’s the final countdown. We’re 3/4 of the way through this thing, and are amazed by every single one of you. Whether you’ve read for two hours or 20 so far, you’re a champion in our eyes, and we love hanging out with you. 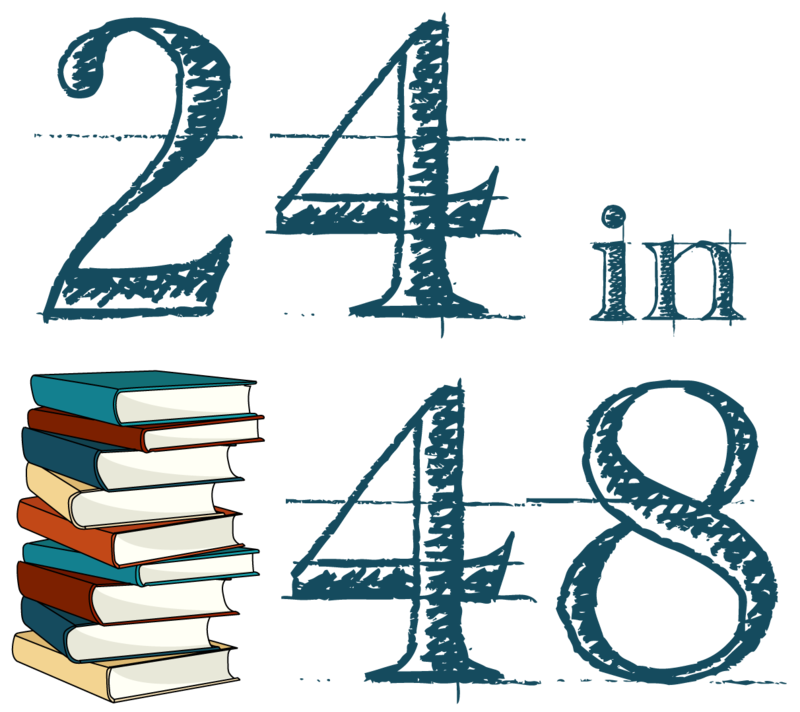 If you haven’t been, be sure to drop in on the hashtag (#24in48) every once in a while to see what your fellow readers are up to and cheer them on! Now is the point of the ‘thon where my brain gets consumed by all the snacks I’ve eaten thus far, and whatever meal is coming next. This year, I’m hanging out in Kerry’s house in the woods, which is always the best because her partner spends the whole weekend leaving us alone to read while making us gads of food. Since I’m thinking about food already, for today’s recommendation challenge I want to hear about your favorite, most loved, best ever food-related book. For this challenge entry, like the others, post your entry on social media/your blog and drop the link in the form. Don’t forget to identify yourself and jot down where we can find you this weekend to validate your entry. We’ll post the winners of this challenge in six hours (Hour 42), so make sure you check back after you entered to see if you won! Don’t forget to check past posts to see if you’ve won, and visit the prize page if you have!